Mount Charles Wins £75m of New Contracts In The Past Year! Here at Mount Charles, we are proud to reveal that we have accumulated contracts worth a combined £75m over the last year. This exciting series of wins has led to a 20% boost in turnover to £40m for the company. The new contracts in Northern Ireland include Belfast International Airport, bus manufacturer Wrightbus in Ballymena and Lisburn & Castlereagh City Council. In the Republic of Ireland, Mount Charles has won tenders for the National Aquatic Centre, Department of Transport, Tourism & Sport, LauraLynn Children’s Hospice and others. Trevor Annon, our chairman and founder, said: “Over the past 12 months we’ve secured a substantial number of lucrative new contracts in what we feel is a clear sign that we are bringing an attractive offering to the table, in terms of value, quality and innovation in our approach. Mr Annon strongly believes that the company still has room to expand in Northern Ireland, but believes the strongest growth potential is in the Republic. This month Mount Charles has also been named in the Deloitte Best Managed Companies Programme for the ninth year in a row. Last year we announced a £520,000 contract over two years with the Department of Finance in Clare House on Airport Road in Belfast. During the year we also reached a franchise agreement with food retailer Freshly Chopped. The Irish healthy food specialist opened up in Belfast city centre in partnership with Mount Charles, on the former ground floor of The Apartment – which has since been renamed Hell Cat Maggies. Mr Annon last year received a lifetime achievement award at the 2018 Aer Lingus Take Off Foundation Business Awards. 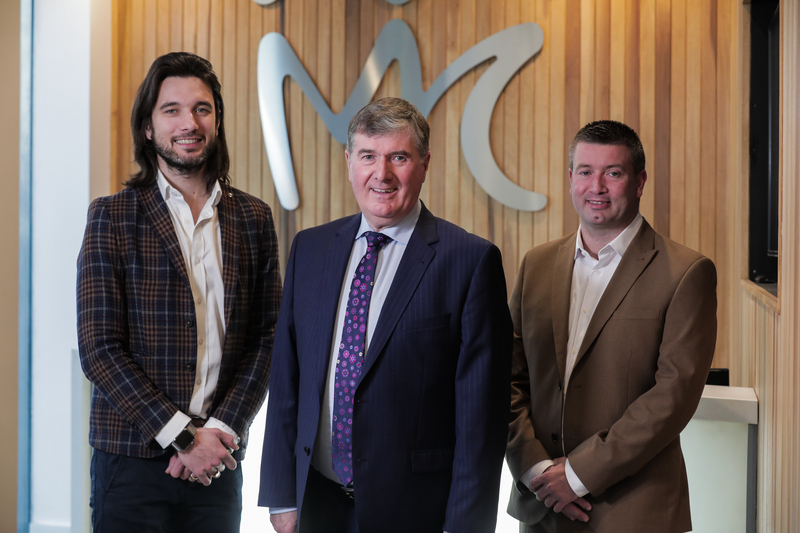 He was praised for his work in expanding Mount Charles, which the judges said had provided “true economic benefit not only for its employees and their families, but also for the wider NI economy”.